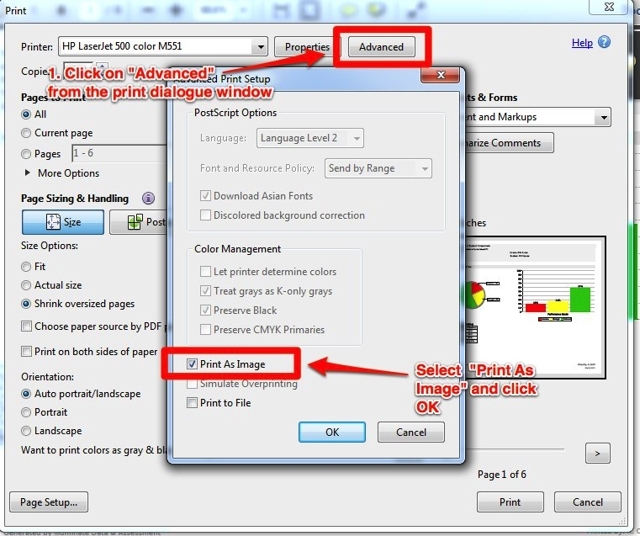 Some color reports or pages from color reports print in black and white when printed with Adobe Acrobat or Adobe Reader in all versions of Windows. Select "Print" to bring up the print dialogue window. From this window click on the "Advanced" button. This will open up the Advanced Print Setup window. 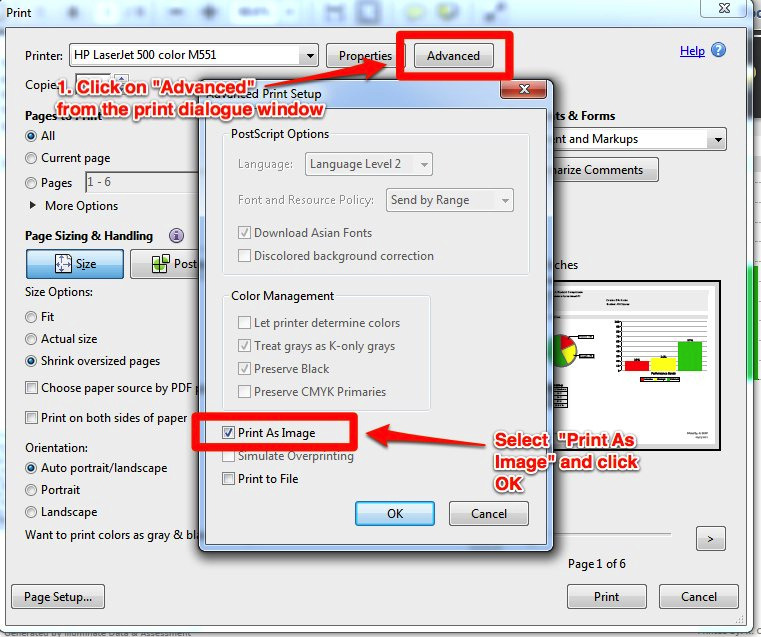 Click on the checkbox next to "Print As Image" then click "OK" to save the settings. When you click the final "Print" button, your report will print in color.